After introducing one of this year’s last flagships phones, LG is now busy refreshing its midrange devices with the local launch of the new Q7. 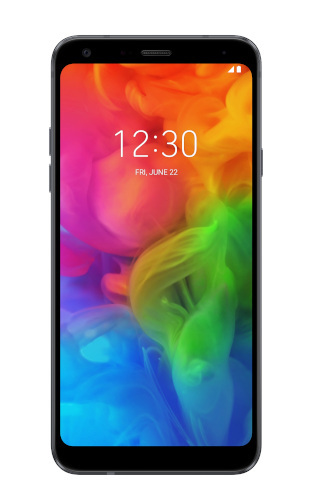 This 5.5” midrange unit comes with an octo-core Mediatek MT6750S chipset (1.5 GHz), while there’s 3 GB of RAM this time round, and 32 GB of storage space (expandable up to 2 TB). Some of the new features the company is touting include Portrait mode, DTS:X Virtual Surround Sound, water and dust resistance and a fingerprint sensor on the back for added security. The Portrait mode allows users to take selfies with blurred backgrounds for a pleasing bokeh effect, as seen on higher end devices and the midrange Samsung Galaxy S6+ (certainly its strongest competition). There’s also Phase Detection Auto Focus (PDAF) on the rear camera (13 MP) which LG notes is 23% faster than traditional autofocus options. Why LG is sticking with one camera on the back and not including their lovely wide-angle option is anyone’s guess. LG says that the Q7 is also the first in its price range to offer DTS:X to deliver virtual surround sound, an optimised mobile technology that delivers louder and richer audio for movies, music and games. One of the features that we liked about last year’s LG Q6 was its design, with the Q7 looking to continue with this trend. It features a 2.5D Arc Glass design with rounded-edges, while it’s also boosted with an IP68-certified water and dust resistance rating. Furthermore, the Q7 has passed 14 of the MIL-STD 810G tests designed by the United States military to evaluate the performance of equipment in harsh environments. And the Fast Charge technology can charge the Q7’s battery to 50% in about 30 minutes, according to LG. The Smart Rear Key fingerprint sensor doubles as the camera shutter button and can help take screenshots plus control the notification bar. For midrange devices price certainly plays a role, with LG noting it’s a decent R5 999 on pre-paid and as little as R349 on contract, available in Vodacom and Cell C.